View More In Threaded Tube Fittings - Page 4. 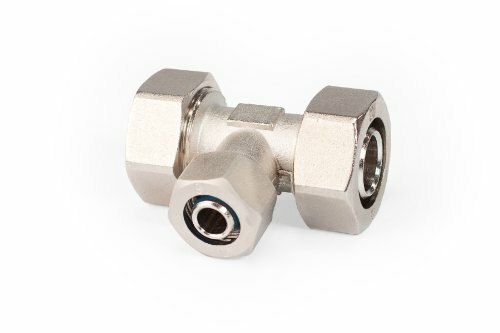 The Maxline 3/4-Inch tubing x 1/2-Inch tubing x 3/4-Inch tubing, Reducing Tee fitting, features a compression fitting style to make fast and easy connections. There is no glue, soldering or crimping needed. Simply cut the tubing to length, insert in the fitting and tighten. If you have any questions about this product by Maxline, contact us by completing and submitting the form below. If you are looking for a specif part number, please include it with your message.